If you are enrolled in the course, you will automatically be in the TritonEd course. The instructor will sync the TritonEd rosters with Gradescope and you will get a message via UCSD email to sign up for Gradescope. Create an account and join the course. 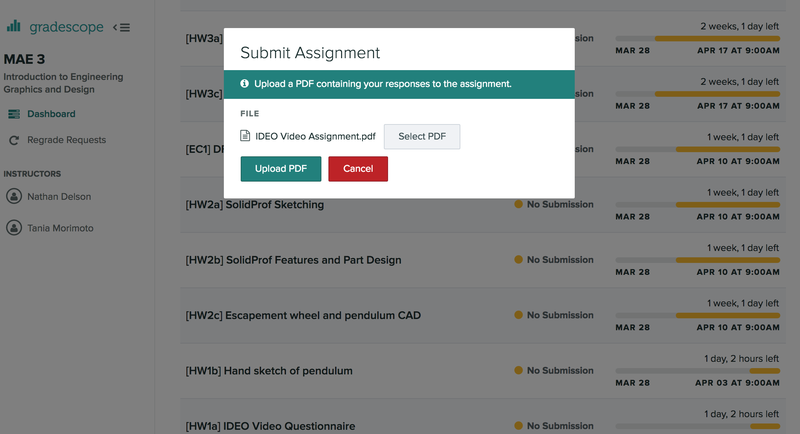 You MUST submit assignments as PDFs. If you have a handwritten assignment, options include scanning it in the library or using Upload -> Scan on mobile Google Drive. If you have a typed assignment, options include saving as PDF in Microsoft Word or download as PDF in Google Docs. 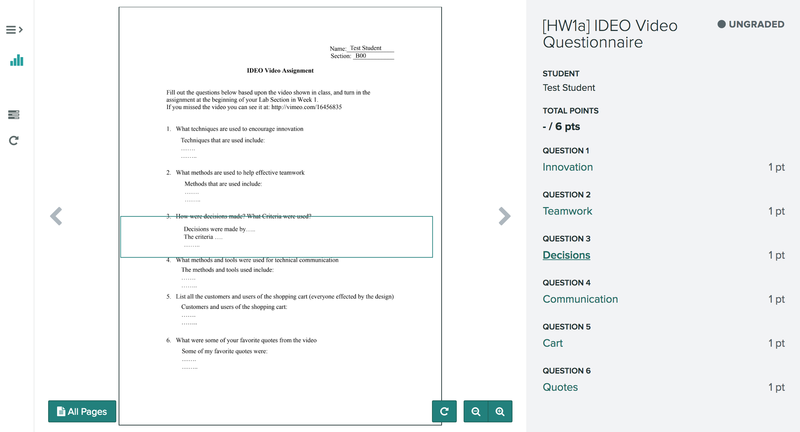 If prompted, assign question numbers to the pages of your PDF. This associates your answer with the proper question so that the grader can easily tell which part to grade.